As a travel agent, I like to meet the people who are taking care of our clients which is the reason why I spend about 3 months a year overseas, inspecting hotels, meeting with our guides as well as experiencing new and exciting destinations. 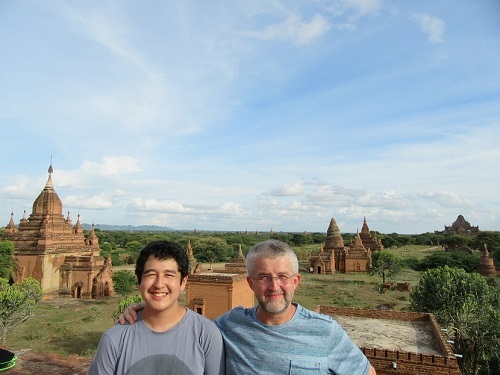 This summer, my son and I went on a journey around the world which took us to 4 continents and 10 countries in 74 days which was an experience both of us will never forget. Since it’s difficult to put 74 days into one newsletter, I’ve decided to share our trip in 4 different articles, sharing my posts, which I’ve put up numerous times a week throughout our trip, from my Facebook page. This way you’ll get to experience our entire journey and if any of these destinations sound exciting to you, and you places you would like travel to, remember that I can arrange a customized itinerary for you. It is 9:00am, we are all checked in and ready to go…..I love traveling with Isaac and can’t imagine having a better travel companion for the amazing experiences awaiting us for the next 70 days. 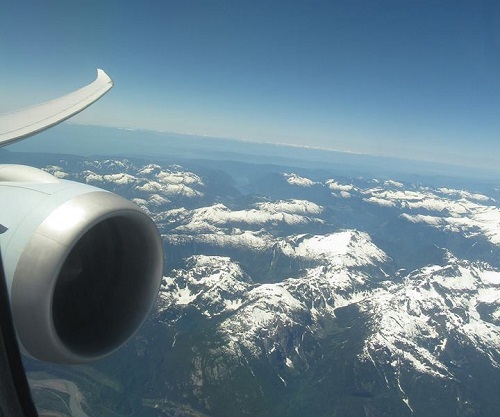 Our little birdy, taking us across Arctic Canada and the North Atlantic to the old world…..what a beautiful day to go flying……. If this isn’t the best view out of a bathroom window, then I don’t know what is. 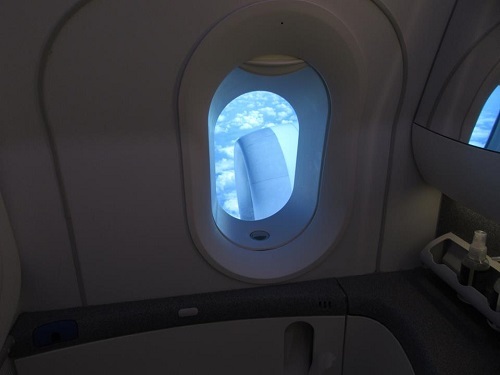 🙂 39,000 feet over Greenland and the nice thing is that you can leave the window shade open, no-one can look inside unless there is a spy satellite in space somewhere. We arrived safely in Germany and really enjoyed our flight over. 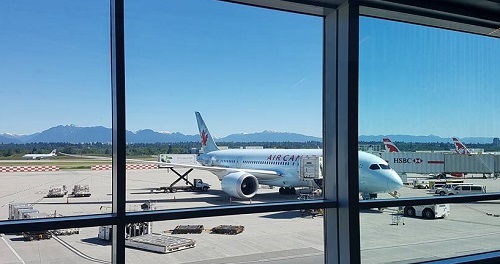 For many people flying to their destination is the not so enjoyable part of a journey but I still get excited, just as I did about 40 years ago when I boarded my very first flight. I am so happy that Isaac and I share this passion and I could have just kept going on our flight last night. I loved looking outside my window and see the sun never set due to our very Northerly route over Arctic Canada, Central Greenland, North of Iceland and down to the European continent. Yes, I still get goosebumps flying, just like I did as a little boy some 40 years ago…. 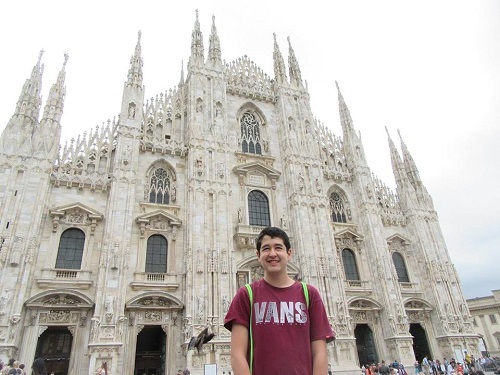 Isaac and I decided to spend the day walking around Milan, see some of the popular sites but we mostly ended up walking through some of the side streets, had a cappuccino at a local cafe and walked into a small church’s Sunday service, which was so much nicer then the big but very beautiful Duomo. 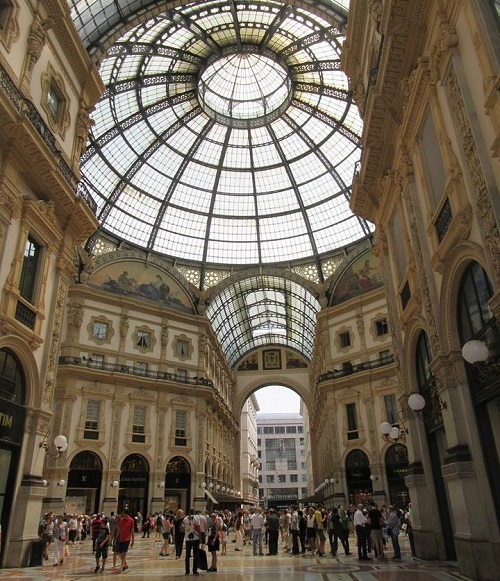 Milan is a beautiful and I think somewhat underrated city when compared to Rome and Venice, it’s definitely worth a visit. 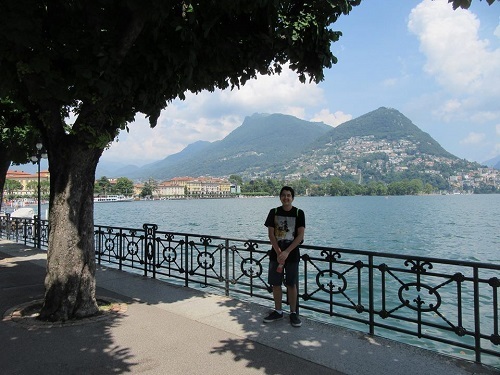 Just an one hour train ride from Milan, across the border in Switzerland, is the beautiful town of Lugano. That’s where we headed today, leaving on a train in the morning, coming back in the evening, allowing us to spend all day here. I had been here before and even spend almost a whole summer but it was Isaac’s first time and just like his dad, he fell in love. There were few tourists and everyone we met was extremely helpful and soooo friendly. The scenery is breathtaking and the food to die for. I have a feeling that we’ll be back. 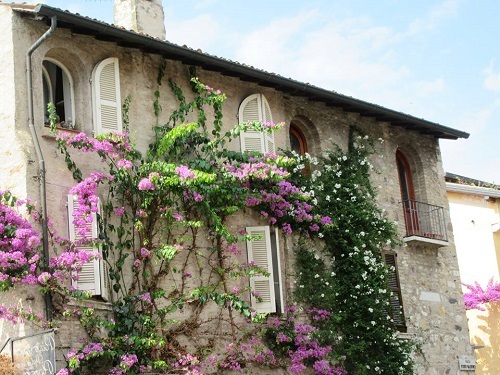 If you do decide to visit coming from Milan, do make sure to bring your passport as there is a good chance that it will be checked in Chiasso, the first town entering Switzerland. One of the many things I love about Europe is that within a small amount of time and you can be in a completely different environment, whether you take the train, drive or fly. Today we took another train from Milan to Peschiera del Garda a beautiful little town on the South side of the Lake Garda. 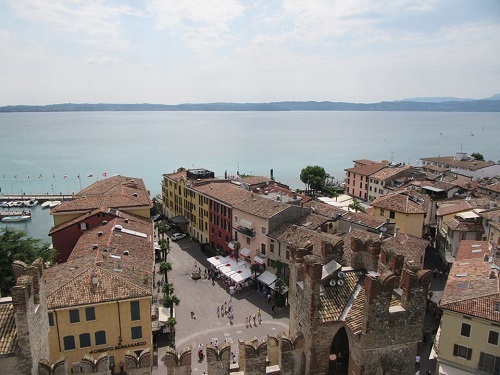 Here we met our wonderful friends and drove to the picturesque town of Sirmione. 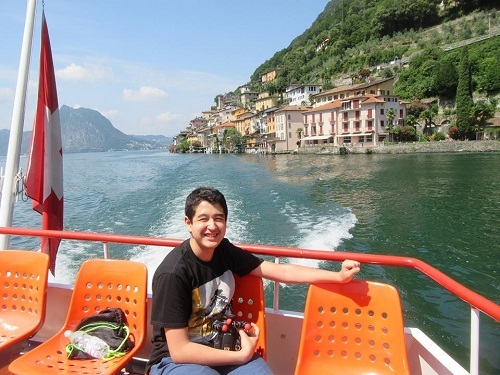 Honestly, I had never heard of either of these two until a few months ago when I was looking into doing a couple of day trips from Milan and I really wanted to visit the Lake Garda since I had not been there yet. I had no idea what to expect but was completely overwhelmed by how beautiful this place is, never thought it would be like this and would love to come back. It’s not a place on people’s radar except for those who are somewhat familiar with this part of Italy but I have to say, it was a real highlight. Both, Isaac and I fell in love this place. 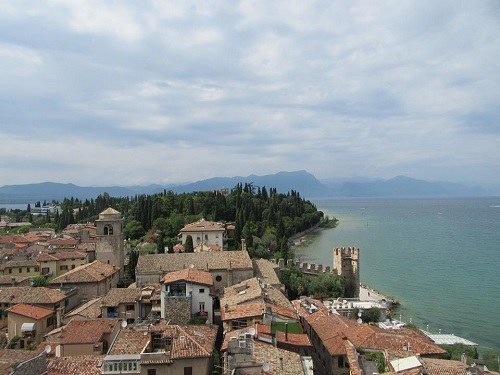 Enjoy the pictures though they don’t give justice to the beauty of Sirmione. 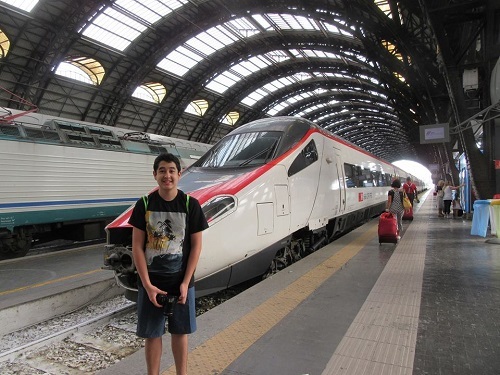 The next day we left Milan to continue our trip to the next destination, which I will share in my next newsletter. We absolutely loved the 4 days we spent in Milan. 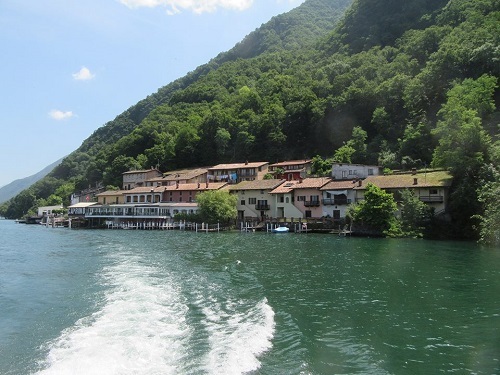 I think it is very much underrated by travelers, especially since it is in such a great and central location from where it is possible to do some amazing day trips, even to neighboring Switzerland. Please feel free to contact me if you have any questions or would like to have an unforgettable journey created just for you.